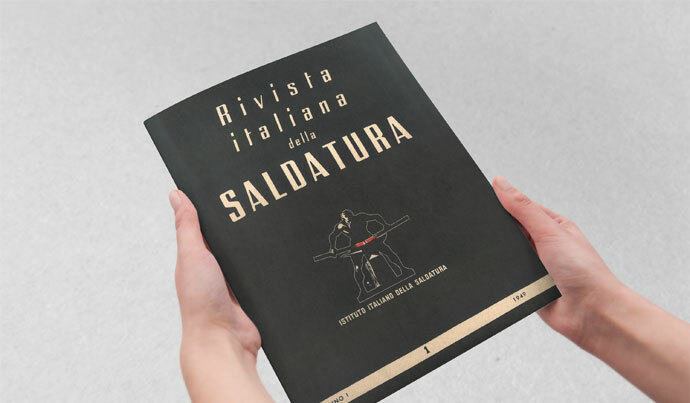 “Rivista Italiana della Saldatura” was founded in 1949 as a technical and scientific information magazine to promote welding and related techniques knowledge diffusion. IIS has carried out an intense cultural and educational dissemination for over 70 years, with a massive cooperation and exchange between its divisions, media and laboratory, aimed at promoting research and innovation activities in national and international contexts. “Rivista Italiana della Saldatura” selects original research papers among the most interesting IIS conference proceedings and from other national or international scientific and cultural organizations, published in Italian or in English languages. In every issue, an International Welding Institute (IIW) - IIS is a founding member - paper is published, both in English and Italian languages. The main topics are divided into specific sections: metallurgy and weldability of materials, welding technology;design and fabrication, NDT, corrosion and failure analysis. The magazine also contains the most recent information about topics of current interest (standards updates, technical focus, books reviews selected by national and international literature). “Rivista Italiana della Saldatura” is indexed by Elsevier's bibliographic databases Ei Compendex and Scopus - the most extensive abstracts and citations database of worldwide scientific literature - and TWI Weldasearch. You can subscribe (paper or PDF) to our digital platform IIS STORE or you can access by Welding Library, an IIS electronic bibliographic resource of indexed metadata. To obtain access to Welding Library you need to subscribe COMMUNITY IIS services.